Bonne Bouche with Spicy Plum Chutney – A Loire Valley style goat cheese meets Indian ginger and spice in this multicultural pairing of Bonne Bouche with Spicy Plum Chutney. 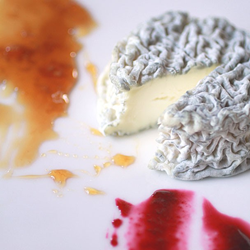 The delicate, geotrichum rind and a creamy, goat milk interior of Vermont Creamery Bonne Bouche beautifully complement the gingery balance of sweet and savory in the chutney. Miranda with Apple Hibiscus Tea Jelly – A raw cows’ milk button, this Vulto Creamery cheese has a melt your heart interior that literally oozes from the rind. Washed in absinthe, is has a delicately rich aroma with whiffs of grass and hazelnuts. This cheese is fruity and tart with a long, yeasty finish and pairs well with the sweet and lively flavors of a bright hibiscus jelly. Challerhocker and Whisky Caramel – Washed in brine and spices, this swiss cheese is aged for a minimum of 12 months. Challerhocker (which means “sitting in the cellar”) is a beautiful winter cheese with a salty finish that complements and contrasts the sophisticated sweetness of an aged whisky caramel sauce. The challerhocker and whisky caramel is an unexpected dessert pairing. Bayley Hazen Blue with Chocolate – For those who must have chocolate on Valentine’s day, pair a hunk of dark chocolate with Jasper Hill’s Bayley Hazen Blue. Dry and dense, Bayley Hazen is characterized by flavors of deep, dark pepper and roasted hazelnuts, which are beautifully enhanced by a good dark chocolate of at least 54%. Pair with a fruity red dessert wine for a dessert cheese board. Nadjeeb Chouaf is the owner and head cheesemonger at Flora Artisanal Cheese in downtown Charlottesville, VA. Nadjeeb, an American Cheese Society Certified Cheese Professional, is also a two time silver medalist at the Cheesemonger Invitational. 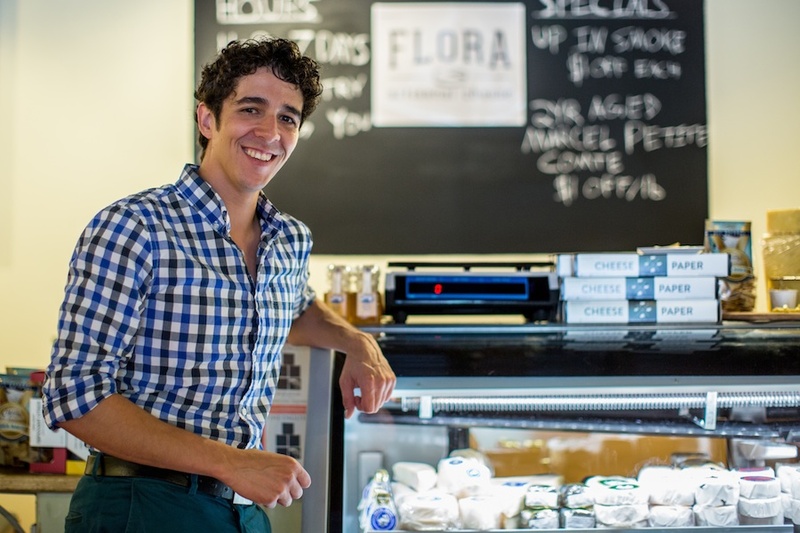 Having worked in various arenas of cheese making and selling since 2005, Nadjeeb opened Flora Artisanal Cheese, Charlottesville's first cut-to-order cheese shop, in 2013 where he has focused on educating the public on all the aspects of cheese pairing and presentation.